SEO offers a visible and effective search presence which can lead to a increase of sales, profitability, and cost efficiency. 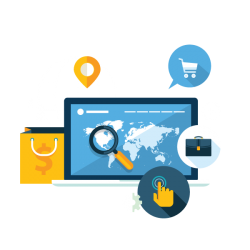 We offer clients a high standard of reliable Search Engine Optimisation (SEO) service. Search Engine Optimisation is now more important than ever and is necessary for every webmaster to understand the true meaning of 'SEO' as well as the potential it creates for you business. 'SEO' or Search Engine Optimisation, is a set of rules that can be followed by website owners to optimise their websites for search engines to increase the quantity and quality of traffic to your website through the organic search engine results. Our SEO techniques involve both the technical and creative elements to improve you rankings, increase visibility in search engines & drive traffic to your website. Neil has really added value to our business since we engaged him over two years ago. Neil ensures our website is kept up to date with current Google changes so that our website is always compliant and visible. He has reduced our previous SEO spent whilst giving a greater presence. His knowledge and skills in SEO and social media has enabled us to ensure that we are visible. In addition Neil provides us with monthly reports regarding our pay per click campaigns and also manages our MailChimp account which we use frequently to send information about our range of services and updates our Facebook and Twitter pages with relevant material. Neil has also helped us with developing printed material and in the design and maintenance of our website.